Special opening for the Beltane Festival, April 27th and 28th. Opening for the season May 25th, 2019. Closing after Indigenous People’s Day, October, 2019. We are a great destination for a quick recharge snack, breakfast, lunch or an evening meal. We will be offering an evolving menu that changes weekly with the seasons serving produce that comes out of our nearby gardens and a number of local friends and farms including Solid Ground Farm, Seed Song Farm, Wild Hive Grain project. We also do onsite private parties during the week call us for information. We are off the Wallkill Valley Rail Trail, about a mile and a quarter south of the Rosendale trestle bridge on Stone Mountain Farm in New Paltz, New York, 2 hours north of NYC. You can also access us by taking River Road Extension off of Springtown Road. Ignore the Dead End sign. Go all the way in on the extension until you see signs for Stone Mt. Farm, continue until you see parking lot A. Our food cart is a very short walk towards the rail trail from there. We are open Fridays 12-8pm, Saturday 9am-8pm (later on musical event nights) and Sunday 9am-8pm. Weather Dependent, if it's raining hard, we will be closed. Please check our Rail Trail Cafe facebook page for updates! Our small farm is dedicated to producing a diverse variety of greens, herbs, heirloom vegetables, grains and wildcrafted produce. We have some micro greens and other greens. available at our Rail Trail Cafe grown by Solid Ground Farm! 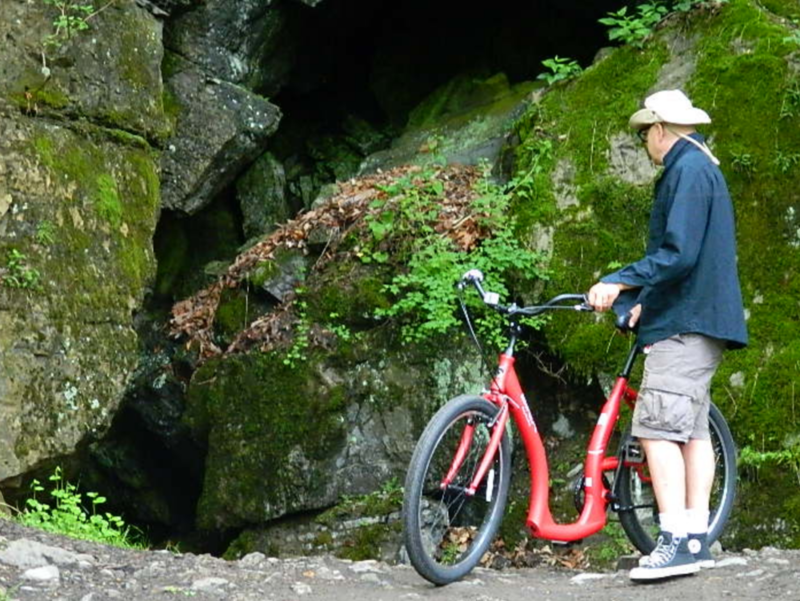 Happy Trails Bike Rental now open!